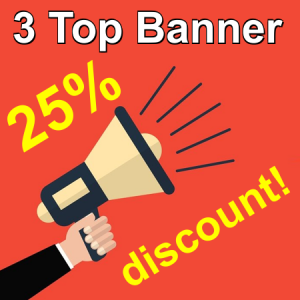 Welcome to our New Site: Get 25% Discount Now! Our new site and shop is online: You will find new banner ads and sticky offers. Don’t miss our reopening discount! You get 25% subtracted from your total sum. We revised our admin listing offers: Now you can get extras inclusive! 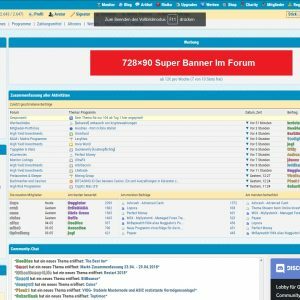 Up to 3 banner ads for 2 weeks, a sticky listing for 1 week or even a translation of your site in German for free. Also we remanaged our monitor rankings. Now you can get a higher ranking by purchasing better packages. Of course you can get banner ads separate. Sticky Listings are only with a monitor listing available. Also at this time a translation of your site too. We will integrate this as a separate product soon. Follow this site or simple register in our newsletter on the right side for more news. Use this code for your 25% discount: admin4newx (valid until 24.06.18)!